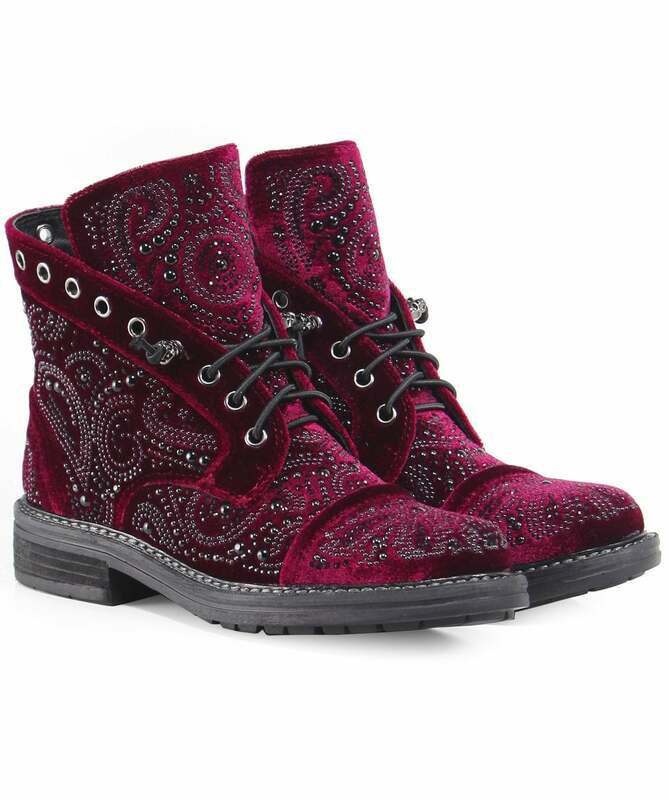 Invest in distinctive seasonal footwear with the Alma en Pena velvet embellished boots. Expertly crafted from luxurious velvet uppers and a leather lining, these chic ankle boots are the perfect autumn-winter statement piece, featuring embellished stud detailing throughout as well as skull shaped studs to the laces and quirky eyelet detailing. In a slip on style for ease of wear, these Alma en Pena boots are sure to add a touch of sparkle to your casual outfits.